Hi there, 8 months ago I started my own business called Furkids. I quit my Corporate job and have never looked back. 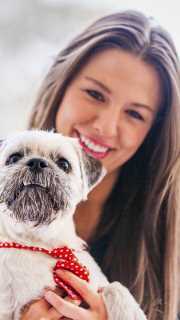 I am a huge dog lover and grew up surrounded by dogs and all types of other animals. Furkids is a boutique Doggie Daycare and Home Boarding. It is exclusive to Toy / Small Dogs and Puppies only. 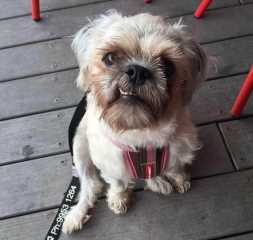 I have 2 Furkids, Stella is a Schnug (Schnauzer cross pug) and is 3 years old. She is very laid back and loves her mummy&apos;s cooking and treats! She also loves her little brother Spartacus. 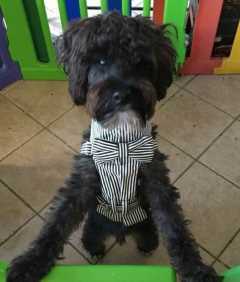 Sparty is a 1.5 year old Schnoodle who is full of energy and loves to play and is also ball obsessed. They are both so amazing with welcoming new Furkids and especially the puppies! I have been taking care of Furkids for 8 months now and have home boarded a minimum of 100 Furkids! I have a 5 star rating on my Facebook page and excellent reviews and happy for any new client to speak with my existing clients for a reference. To date I have raised a Beagle X, Cavoodle and Daschound puppy from the age of 11 weeks old, all 3 are part of my doggie daycare group and attend 5 days a week. I have also taken care of many other puppies. My experience comes naturally and also on the job experience. I have also just booked in to do the First Aid course for Dogs and we have our Vet Peter from Collaroy Vet for on call / house visits in case of an emergency. We haven&apos;t had to call the vet and we aim for this never to happen. My eyes are on the Furkids every minute of the day. Safety and the Furkids comes first! Suz's Pet Boarding service is located in or nearby North Manly, New South Wales. Book via PetBacker for Insurance, Payment protection & 24x7 support. If you have hired Suz before, leave a review now. Contact Suz now with your pets info. If Suz is busy, we can help include similar Backers.